Big brands are typically out of reach for small mobile companies and vice versa. At the same time, smaller companies may offer unique, creative ideas. The Mobile App Camp brings content brands and the broad mobile community together over a summertime start-up weekend to create and pitch new product ideas. The goal is win-win new business opportunities for both brands and start-ups. Grab your mobile skills and come camping with us August 24 to 26, 2012 at the Mobile Experience Innovation Centre’s Mobile App Camp! The Mobile Experience Innovation Centre (MEIC) is pleased to announce that Corus Entertainment and Rogers Media are sponsors of Mobile App Camp 2012! The Mobile App Camp, which takes place August 24 to 26, 2012 at Corus Quay in Toronto, provides mobile and interactive digital media professionals with the opportunity to work in multi-disciplinary teams to brainstorm and develop new mobile app concepts. As part of Corus and Rogers participation, the camp program will feature an exclusive opportunity for “campers” to develop mobile apps based on Corus Entertainment’s Babar & The Adventures of Badou and Scaredy Squirrel as well as Rogers Media’s Breakfast Television (BT) and LOU LOU Magazine. Over the course of the weekend, mentors (a.k.a. camp counsellors), will be onsite at Corus Quay to provide direction and expertise. Microsoft will also be onsite providing technical support and information sessions for development on the Windows Phone platform. This is an amazing opportunity to work with your peers, colleagues and major players in the mobile app industry. At the end of the weekend, participating team members will demonstrate their concept and pitch their business proposal to a panel of sponsors - including representatives from Rogers Media, Corus Entertainment and Bennett Jones - and the best of the best will be offered business opportunities to further their work and be eligible to win prizes! Those interested in attending Mobile App Camp can apply online through www.mobileappcamp.ca. Approved campers will be provided with all the information required to register via email. There is a $50 per person fee. Full-time students are eligible for a 50% discount ($25). Valid identification will be required at the door. Please email Patricia McCutcheon at patricia@meic.ca for additional information and sponsorship inquires. The FlOrKestra is a proposal to create a new laptop orchestra that addresses issues of access and inclusivity in electronic music. The project aims to build a low-cost, accessible, inclusive ensemble, to develop new physical and software interfaces for personalized musical performance, and to evaluate the effectiveness of the construction. The research involves the examination and expansion of the technology of computer music with respect to its implicit assumptions and accidental exclusivity. The goal of the group is to integrate research and practice in order to illuminate these issues. At DEEP accessibility and inclusion are not options to be argued or fought for, they are assumed and manifest so that the community gathered can focus on the challenge of how, not why. The diverse participants at DEEP are all valuable and respected contributors to the challenge. Everyone must be at the table. This year we will explore what this disruption can mean for each of us as individuals, for research, for government, for learning, for health and for communities. We will tackle the new vulnerabilities to privacy and security this exposes. Most importantly, for communities currently excluded, we will foster informed choices and active participation in this critical inflection point. Join us at DEEP 2015 to participate in the discussions and explore the Internet of Things and inclusion. New data released by Statistics Canada show that culture, arts and heritage contribute 3.7 per cent to Ontario’s gross domestic product (GDP), totalling $21.9 billion, and three per cent to Canada’s economy, or an estimated $47.7 billion. The figures come from the second Culture Satellite Account (CSA) report based on 2010 provincial and territorial economic figures, which are the latest statistics available. The total number of Canadian jobs in cultural domains (i.e. the arts, cultural industries and heritage) is calculated to be 707,012 in 2010, of which 571,985 were directly related to the production of cultural commodities. In Ontario, that number is 301,090 jobs in total, and 245,726 connected with cultural production. Statistics Canada leads the development of the report, while the Department of Canadian Heritage manages a consortium of funding partners, including OCAD University, several non-government organizations as well as the provinces and territories. As Ontario’s only art, design and digital media university, OCAD University’s students, faculty and alumni contribute to the vigour of Ontario’s creative industries. To read the full report visit the Statistics Canada website. OCAD University and its art, design and digital media alumni are important contributors to the GTA creative economy, according to a recent labour market report. The total direct and indirect economic impact of OCAD U from institutional spending, student expenditures, increased graduate outcomes and induced spending is $257.6 million per year. Conducted by Higher Education Strategy Associates (HESA), the report determined the total increased earning power of alumni who hold BFA degrees, and who live and work in Ontario, is $66.6 million per year (this is compared to Ontarians with education below a bachelor’s level). The report also found that alumni were very satisfied with their work because they feel it reflects their values, interests and personality. The HESA report also noted that the majority of art, design and creative industry employers in the GTA have increased or maintained their number of employees with 84% currently employing recent grads. Such numbers bode well for recent graduates who are joining the workforce. These strong economic outcomes are mirrored in the Strategic National Arts Alumni Project (SNAAP), an annual online survey of art and design alumni from participating post-secondary institutions throughout North America. It shows OCAD U students have reason for optimism once they graduate. The survey asks about alumni experiences at the institution and post-graduation with a focus on employment outcomes. Among OCAD U alumni from the past five years the majority are currently or have been self-employed in the past, some having founded non-profit or for profit organizations. The survey participants also indicated their training at OCAD U was relevant in their current employment. OCAD U students are engaged with their instructors and academically challenged during their studies, according to the latest numbers released by the National Survey of Student Engagement (NSSE). NSSE collects information about the undergraduate experience among universities and four-year colleges across North America. Participants include first year and senior year students only. When compared to other Ontario University students’ experiences with faculty, OCAD U students rate their experience at or above the mean for both student-faculty interaction and effective teaching practices in first and fourth year. Undergraduate applications are now open for the 2015-16 school year. This Saturday, October 25, the public and prospective students are invited to “Look Inside,” the annual OCAD U open house. This event encourages visitors to take a studio tour, watch a student demo, talk with faculty and staff and explore undergraduate and graduate studies along with other programs. (Toronto—October 5, 2012) OCAD University submitted a proposed strategic mandate agreement with the Province of Ontario has that stresses an enriched student experience, smart growth and leadership in creative city and community building. "OCAD University is a signature institution that capitalizes on our remarkable achievements in teaching, learning and specialized research," said OCAD U President Dr. Sara Diamond of the university's submission. "Our proposal recognizes our place as a leader in driving change in post-secondary education, not just in Ontario but beyond conventional disciplinary and national borders, and gives us the flexibility and support to reach our goals." An Enriched and Relevant Student Experience - OCAD University will lead sector initiatives that enrich the learner journey to respond to today's diverse and mobile students, equip them to make creative contributions to Ontario's future and prepare them for global leadership and citizenship. OCAD U will lead in technology‐enabled learning by implementing the Mobile Test Bed M+eLearning at OCAD University. 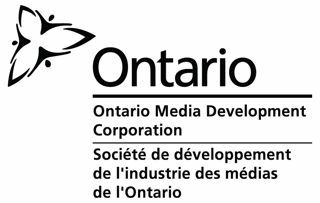 OCAD University proposes to become Ontario's test bed and lead developer of mobile enabled e‐learning through its use of mobile networks to integrate mobile devices (phones, tablets and laptops) and methods of learning. Research indicates that mobility can help to accelerate time to completion for students and retention through 24/7 access to learning, mentorship and collaboration. Mobile courses also allow students with disabilities to better access the learning environment. The Imagination Catalyst, currently in its launch stage, is the university's branded approach to getting great ideas out into the world. The Imagination Catalyst provides a framework for co‐ordinating OCAD University's entrepreneurial and innovation activities and, more specifically, broaden and deepen integration with faculty, students, alumni, entrepreneurs and industry to enhance students' business skills. Smart and Strategic Growth - OCAD University will grow and diversify undergraduate, graduate and continuing studies enrolment and faculty to build Ontario's economic and cultural prosperity. OCAD U will partner with George Brown College to create the Centre for Applied Design, Innovation and Research (CADIR). CADIR will create a power house of design learning, research and commercialization capacity in Ontario. It will offer students a multitude of pathways including certificates, diplomas and degrees through new joint programs and laddered articulation agreements. It will build on current collaborative research to provide SMEs with incubation space and access to state-of-the-art technology and research. Two Ontario industry associations, the Mobile Experience Innovation Centre and Interactive Ontario, will be active partners. The relationship will include public outreach and engagement. The two institutions look forward to future conjoined capital development. Partnering with SMARTLab at University College Dublin, OCAD University will deliver a practice-based PhD program. Research‐based and practice‐based PhDs similar to the successful models in Europe, the United Kingdom, Australia and Brazil require minimal course work and reduce time‐to completion. These PhD programs are executed over a three‐year, full‐time (five‐year, part‐time) commitment through research, professional practice or industrial placement or a significant project accompanied by a thesis, or through a research-only thesis. Future OCAD U PhD programs will come on stream over the duration of this agreement. Increasingly, the PhD has become the terminal degree in art and design fields throughout Europe, the UK, Australia and Brazil. OCAD U proposes to lead innovation in PhD provision in Ontario through reducing the length of time for completion of the PhD by offering these work/practice-based programs here. Leadership in City and Community Building - OCAD University will lead in its areas of strength to be a creative city and global partner with other institutions and diverse communities, and expand public and private partnerships. For example, on October 1 it was announced that a development proposal put forth by David Mirvish and Frank Gehry for King Street West will include a new OCAD U facility at no cost to the university. The project will provide a multi-floor environment for the OCAD University Public Learning Centre for Visual Art, Curatorial Studies and Art History, including exhibition galleries, studios, seminar rooms and a public lecture hall. The galleries will feature curatorial programming drawn from OCAD University faculty, the OCAD University Art Collection, the OCAD University Archives and the Printmaking and Publications Research and Production Centre. It will include a mission to engage art for social change with vulnerable communities. OCAD University's Strategic Mandate Agreement is part of a province-wide initiative announced by Glen Murray, Ontario's Minister of Training, Colleges and Universities in May during his speech hosted by the Canadian Club. This process also included the release of a ministry policy discussion paper and sector consultations that were held during the summer.